Sales of new private homes in Singapore fell sharply in February, due to the Lunar New Year holidays, fewer launches and the government's latest round of cooling measures. However, analysts said it is still too early to gauge the effectiveness of the cooling measures introduced earlier this year. According to data from the Urban Redevelopment Authority, 708 new units were sold during the month, down by almost 65% from January's 2,016 units. The figure was the lowest recorded since the 632 units booked in December 2011, which coincided with the government's announcement of an additional stamp duty that month. Including executive condominiums (ECs), just 917 units of new homes changed hands in February, compared to 2,272 units in the previous month. Analysts said the drop was not surprising as February was a short month and it also included the Lunar New Year, which was typically a lull period in terms of new launches and transactions. Mohamed Ismail, CEO of PropNex Realty, said: "The drop in February new home sales is also due to the latest cooling measures in January 2013 as potential homeowners are likely to take a wait-and-see attitude. "Additionally, developers have held back on the project launches for the month and this is evident in only 261 new units that were being launched." Desmond Sim, CBRE Research's associate director, said: "The full impact of the measures is not felt yet, so the dust has not really settled. "We don't foresee any new measures coming in at this point in time. We also do not expect the developers to push the envelope to go for higher prices - there will be no more benchmark prices going forward." In fact, analysts said some developers could offer more discounts to pull in the buyers - a strategy that seemed to have worked for D'leedon near Farrer Road. It was the top selling project last month, with 166 units sold. Q bay Residences at Tampines was the next best performer with 74 units sold. In February, developers sold 341 units of new homes in the suburban areas, 198 units in the core central region and 169 units in the city fringe. Chia Siew Chuin, director of research and advisory at Colliers International, said: "The upcoming launches are mostly on GLS (government land sales) sites, 99-year leasehold sites. "The fact that there is a requirement for developers for their projects to complete and sell within a prescribed period, there is inherently more urgency for these developers to sell such projects. "That is why we see these days, developers have been more open to consider discounts and incentives. But those with better balance sheets would probably be able to hold on to prices." Including executive condominiums (ECs), URA said 917 units of new homes changed hands last month. The Topiary in Sengkang was the best performer, with 84 units sold. In the latest move to tamp down the red-hot property market, the government in January made it costlier for foreigners to buy property by raising stamp duties, and sharply increased minimum cash down payments for individuals applying for loans for second or subsequent homes to 25% from 10%. The latest measures were imposed after property prices continued to rise despite an economic slowdown that saw the city-state narrowly avoiding a technical recession last year. The trade-reliant economy grew just 1.3% in 2012, down from 5.2% in 2011, with 2013 expansion forecast at 1.0-3.0%. Earlier measures by the government to tame the property market included a move by the central bank in October to impose a maximum tenure of 35 years for new housing loans. Analysts said market players will continue to closely watch home sales in March for trends. They expect new home sales in March to do better, in the region of about 1,000 to 1,500 units, with a wider selection of new launches in the market. For a start, D'Nest at Pasir Ris has already seen a strong take-up on the first day of its preview sales on Friday. About 80% of the 450 units launched have been sold. The 912-unit condominium project was launched at a special early bird price of about $920psf. The 332-unit Sennett Residence at Potong Pasir has been popular as well. Over 70% of the project have been snapped up this month. 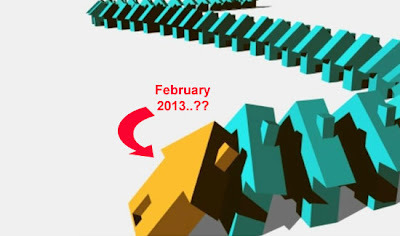 "Now that the dust is more or less settled, developers have started project launches in March. Hence, March and the coming months will be the real litmus test for market demand and the effectiveness of the cooling measures," Colliers' Chia said. She added that while home sales are expected to "return to a normalised level" this month, the new measures meant the government "will continue watching the market closely and policy risks remain". Property stocks tumbled on Friday after the home sales figures were released, with Capitaland down 4.23% to $3.40, City Developments falling 3.67% to $10.76 and Keppel Land easing 2.04% to $3.84. 1 comment to ''February home sales plummeted 65%..!"